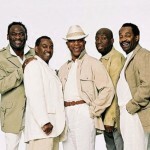 Double Grammy Award winning, American R & B group Kool and the Gang are set to bring some R & B funk and jazz to East Anglia this summer as they perform at Adnams Newmarket Nights on 20th July 2012, one night only! Hits like Celebration, Cherish, Jungle Boogie, Ladies Night and Summer Madness, and over 70 million albums sold worldwide this legendary band has had a career spanning four decades, two Grammy awards, seven American Music Awards, 25 Top Ten R&B hits and 31 Gold and Platinum Albums. Phew – what amazing achievements. TheatreTickets.net has Premier and Grandstande tickets available for 20th July. What each class of tickets gives you is given on the website in more detail, including dress code. The evening begins with racing, and the concert follows the last race at Newmarket Racecourse – a different evening out. Gates open 2 1/2 hours before the first race, racing commences at approximately 6pm and finishes at approximately 9pm (during the latter part of the summer, these times become earlier). The concert commences approximately 20 minutes after the last race and last between 60-90mintues. There is no reserved seating and viewing of this event is standing only. For child tickets please call the booking hotline on +44 (0) 207 400 1256. This entry was posted in Concert, Music, Regional Theatre and tagged Concert, Kool & the Gang, Newmarket Nights, Newmarket Racecourse. Bookmark the permalink.